Silent Hill (サイレントヒル Sairento Hiru?) 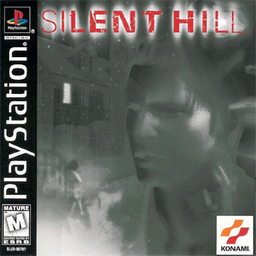 is a survival horror video game for the PlayStation published by Konami and developed by Team Silent, a Konami Computer Entertainment Tokyo group. 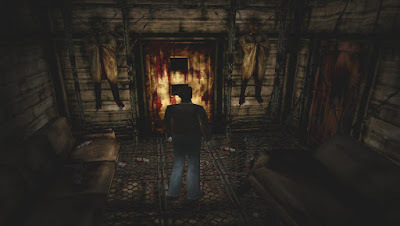 The first installment in the Silent Hill series, the game was released in North America in January 1999, and in Japan and Europe later that year. Silent Hill uses a third-person view, with real-time 3D environments. To mitigate limitations of the hardware, developers liberally used fog and darkness to muddle the graphics. Unlike earlier survival horror games that focused on protagonists with combat training, the player character of Silent Hill is an "everyman". The game follows Harry Mason as he searches for his missing adopted daughter in the eponymous fictional American town of Silent Hill; stumbling upon a cult conducting a ritual to revive a deity it worships, he discovers her true origin. Five game endings are possible, depending on actions taken by the player, including one joke ending.